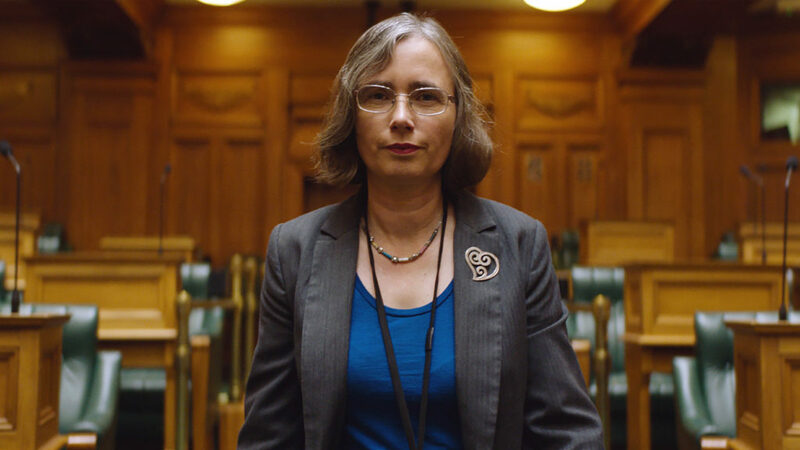 Aotearoa’s first deaf MP has one last Bill in parliament that could open the doors for people with disabilities to represent themselves and others. Throughout her life and career, Mojo Mathers has had to battle at every step of the way for her voice to be heard. Now, she has one last chance in her fight for equal representation to secure a political future for people with disabilities in New Zealand. If unsuccessful, her long-fought campaign for equal access will be in vain and her communities’ voice will remain silenced. View their boosted campaign here. Sam ‘the BARTER BARBER’ Dowdall, is an enthusiastic young man who combines his barbering skills with his crisis training to encourage men to speak up about their issues. It’s been 5 years since Sam lost four of his male friends to suicide. 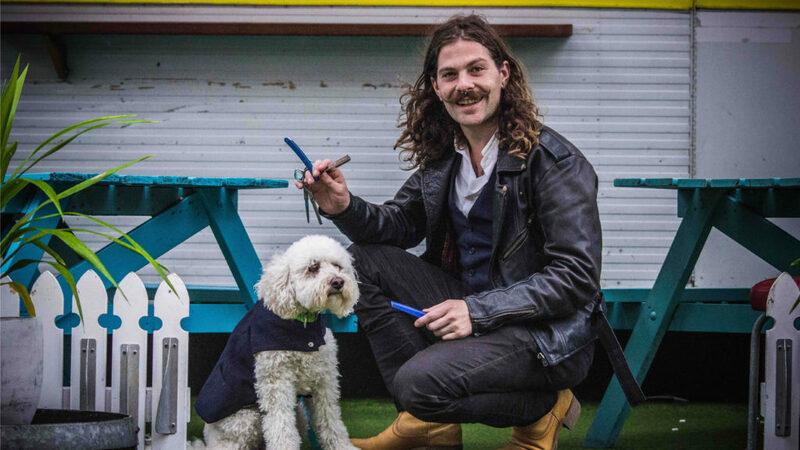 After these tragic events, Sam left his life behind and went on the road with his dog Bo and one goal in mind: change the current landscape of men’s mental health. But can one bloke with a mission really get men to break through the walls that have been put up by generations of Kiwi males or will he be met by stifled emotions or worse: silence? British immigrant, John Catmur, believes God told him to move to New Zealand. Since living here, he has immersed himself in Māori culture and learnt te reo. The impact was so powerful, it made him feel a part of this land and has since lead him on a path of inspiring others to take up the koroka (mantle). This story, will be told by John in te reo Māori to demonstrate the remarkable passion he has for the language. 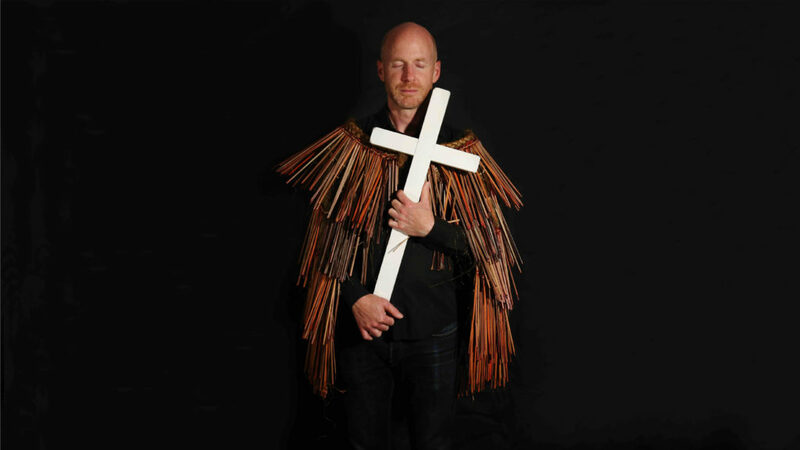 From standing on the marae with his te reo class, to worshiping Jesus Christ with members of his church in te reo Māori and encouraging other pākeha friends to speak the language — we capture a glimpse of John on his mission. Like the biblical prophet, this John the Baptist carries the word of God around to share with others. But unlike the original prophet, John shares his message in te reo Māori. 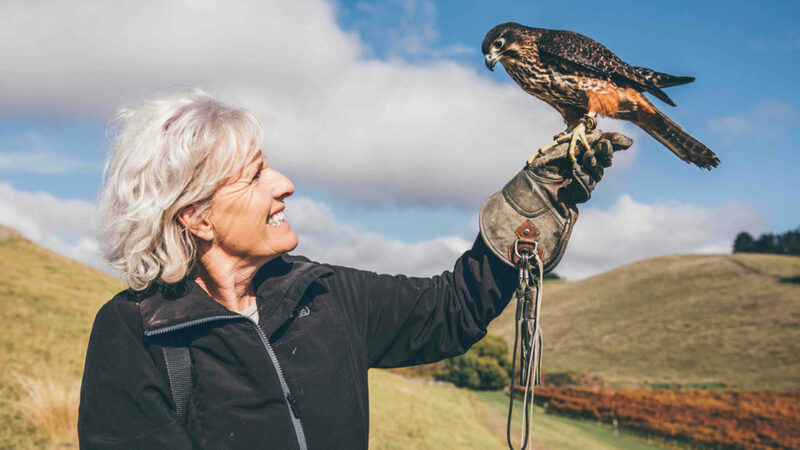 A passionate falcon trainer and her loyal falcon race against time to raise awareness about the threats facing New Zealand’s top aerial predator. Kārearea is a unique story of friendship between a wild bird of prey and her trainer. Fern, a New Zealand falcon trainer, has been lovingly trained by Diana over the last 6 years and together they have developed an incredible bond. Worryingly, Kārearea are now classified as a National Venerable species with potentially only 5000 left in the wild. But Fern and Diana are determined to work together inspiring others to get behind the New Zealand Falcon and turn their numbers around. In the exhilarating and male-dominated world of dirt track racing, stock car driver Brooke does what she loves most: races. The fiercely determined Brooke navigates the pits, the track, the past, and the future of NZ’s most beloved motorsport. She Speeds goes behind the wheel and under the bonnet of New Zealand dirt track racing through the eyes of Brooke Clarkson – a fourth generation racer, and one of the few female drivers in her class. We explore Speedway, and Brooke’s part in it, before the light turns green and then we are taken for a ride deep into the mind of a race car driver. In a male-dominated sport, Brooke shows us what blazing a trail really means. Kas Futialo, a.k.a. 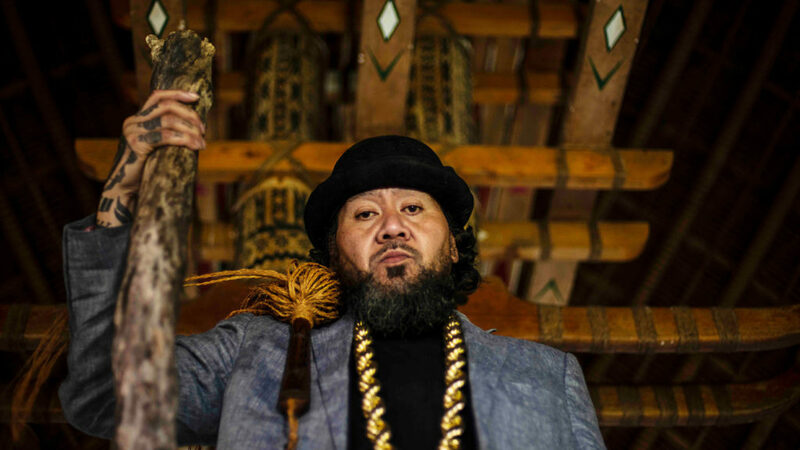 ‘Tha Feelstyle’, is a multi-award winning music artist who has been at the forefront of Aotearoa and Pacific hip hop over the past thirty-years. This lyrical depiction of the influences which have shaped Kas’s life gives shape and form to an outlook refusing to stick to the status quo. From hip hop to ancient oratory chants, suburban Auckland to Sāmoa, we experience what it means to be Tha Feelstyle as we follow Kas to the place where the crossroads of his life intersect. Every month a group of people put on black clothing, pack their laptops and a mask, and meet on a busy Auckland city street. Christian Huriwai is one of their leaders, a 26-year-old from the far north, well-known as a world champion extreme street unicyclist and a self-confessed adrenaline junkie. Chris and his partner Sam la Hood are members of the animal rights group Anonymous for the Voiceless. 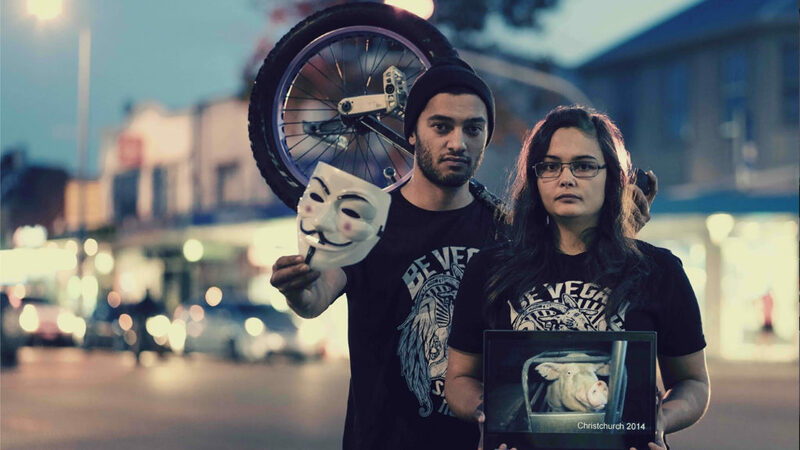 They take us inside “The Cube of Truth” – a group of masked volunteers standing silently in an outwards-facing square, showing the public a graphic montage of modern animal industry practices on their laptops. They aim to trigger curiosity and interest in veganism, but they also deal with angry outbursts and ridicule. Animal activism isn’t for the faint hearted. A passionate young Ngāi Tahu inventor is on a mission to rid New Zealand’s rivers of Didymo, and the way he’s going about it is truly remarkable. 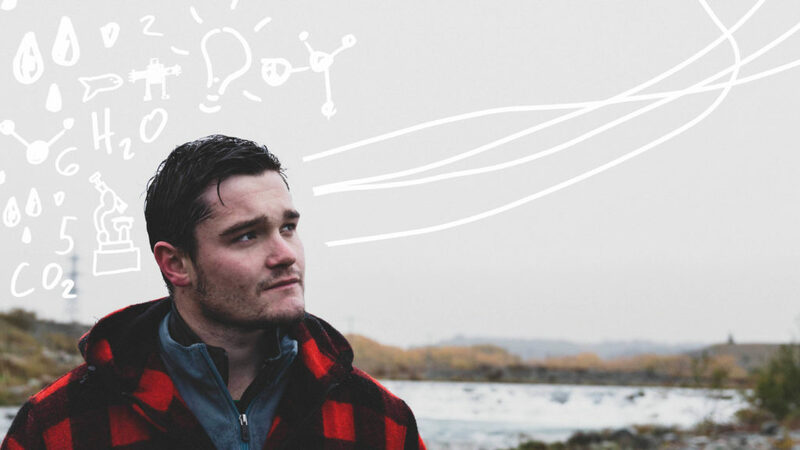 Twenty-two-year-old Logan Williams has a brilliant plan to save the South Island’s waterways from the devastating algae, Didymo, and save the world from plastic all at the same time. Growing up in South Canterbury, Logan (Ngāi /Kāi Tahu) feels a strong connection to the mighty rivers of the Mackenzie Country and has witnessed first hand the shocking devastation caused by Didymo. Where most would just walk away in despair, Logan is wading in, up to his neck – making it his mission to eliminate Didymo and restore the health of these precious waterways. He has pioneered a process that turns the algae, also known as ‘rock snot’, into a versatile plastic substitute that is biodegradable, waterproof, fireproof, recyclable, durable, non-toxic and machine washable. But, as brilliant as he is, can Logan’s wild idea really save these waterways from such a pernicious disease or will nature win this battle? Taaniko Nordstrom is a woman, Māori, entrepreneur and activist for social change. 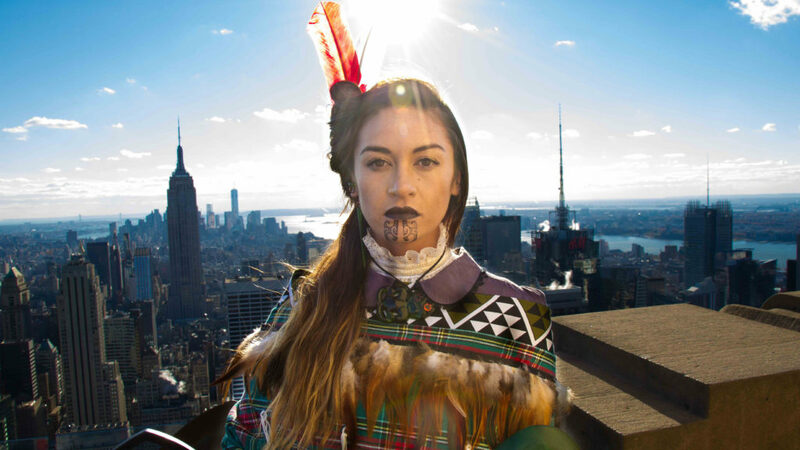 In 2013 she and her sister, Vienna, founded an artistic venture called Soldiers Rd Portraits – a unique way of using modern media, props and photography to recreate vintage style Māori portraits. The portraits had overwhelmingly positive and profound effects on their subjects and so the women hatched a plan to see if their photographs could serve as a catalyst for social change on a much larger scale. Soldiers Rd Portraits partnered with Waikeria Prison in a groundbreaking pilot, which aims to transform prisoner cultural identity and self perception as an innovative way to approach prison recidivism rates. As well as offering free portraits to inmates, they also help them write a letter to their tūpuna (ancestors), helping them connect with their past. Māori, are significantly overrepresented in the prison population and Taaniko believes that a lack of understanding around identity, heritage and tikanga (customs and values), plays a vital part in shaping these inmates. But can Taaniko really turn these prisoners’ lives around with just a simple photograph?